Mexican auto insurance policy info; what to bring for a Mexican beach vacation! Nothing beats escaping to Mexico for a week or two of fun in the sun. After making reservations and other plans, you should create a list of things to pack. Bathing suits, flip flops and sunscreen are all important, but there are many other things that need to be included too. For instance, don’t even think about driving south of the border without a valid Mexican auto insurance policy. By going online for your Mexican automobile insurance at mexicaninsurancestore.com, you’ll arrive in Mexico with the coverage you need. You’ll also get a much better deal than you would when buying Mexican auto insurance coverage at the border. Whether you drive an SUV, pick-up, motorhome or 4 wheel drive Jeep, a good quality Mexican auto insurance policy is vital for peace of mind during your travels. 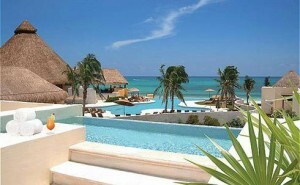 Savvy Mexico vacationers buy their Mexican auto insurance coverage online to save time, money and frustration. Without the right paperwork, your Mexican getaway will be over before it begins. You’re not going to get across the border without a valid passport, for instance. The only exception is if you have an enhanced driver’s license, which can be used to lieu of a passport when traveling to Mexico by land or by sea. You should also have a valid driver’s license, and you should keep copies of your registration and other paperwork on hand as well. It’s better to have too much paperwork than too little. Be careful when traveling to Mexico with medication. If you use prescription medication, make sure to keep a copy of your prescription with you at all times. Many prescribed medications are considered controlled substances down in Mexico. If you don’t have a prescription to show the cops, you could be arrested for drug possession. This happens all the time, so be smart. Only bring medications that you absolutely need. Keep in mind that acetaminophen and other popular medicines are readily available throughout Mexico. It’s generally best to carry very small amounts of cash at any given moment. That’s not to say that you’re sure to get held up. If something does happen, though, you’ll have a lot less to lose. Major credit cards are accepted at many places in Mexico, so you will probably be able to charge most of the purchases you make. When you need cash, withdraw it from an ATM. You’ll get the best exchange rate, and you won’t have to deal with the hassle of visiting a local bank or exchange company. With these points in mind, your trip to Mexico should be great. Mexican auto insurance policy info and what to bring for a Mexican beach vacation! Mexico is famous for its magnificent beaches but it gets little breezy so come well prepared for the summers when traveling there. Next post: A Mexican car insurance policy and Exploring Mexico’s Ruins!